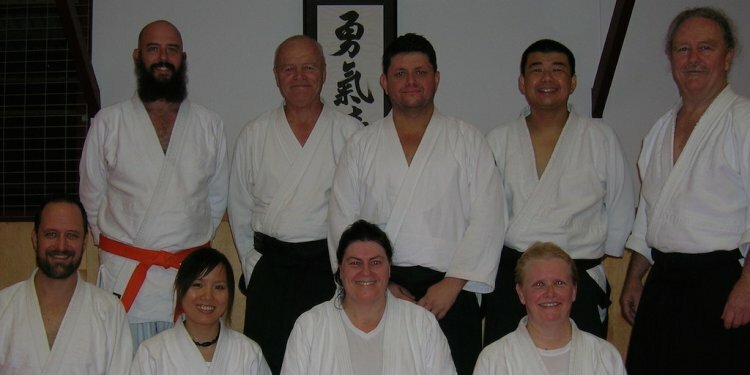 Just back from Sydney and an enlightened seminar with Sensei Bill Gleason. He has gone another level from the 2014 series of teachings. The pure forms are there but generated so much more now utilizing Aiki. The introduction of rotation, how and when to use it, coupled with elbow power, are a have to be felt proposition. But worth every second you can get in contact with Sensei Gleason. Some things over the week I won’t forget about Sydney, one being the traffic, I thought being held up for 20 minutes in Brisbane was cause for outrage but that is possibly the time it takes just to enter the slow sleepy snake that is Sydney traffic. It is a car park most of the time. This fact is well known to the population but does not get them down they are generous and warm to any visiting Aikidoka. The other notable event was watching North Queensland score 5 tries in 10 minutes to devastate the Parrammatta Eels, I actually felt sorry for my host as this unfolded. This scoring rate throws my theory of a point a minute out the window, it seems now possible to score at the rate of 2.8 points per minute!! This exponential scoring rate increase is similar to progress Bill Gleason Sensei has made in the last twelve months, he has had great skill for a long while now but more recently it has exploded with the help of an ongoing mastery of intent driven power. They say a good test for whether or not to join a dojo is to see if the participants are smiling while they are on the mat. Have a look at the faces in the shot below. Yes we are having a hoot, learing the art of Aiki. Your last chance for a taste of this sort of practice and clear concise explanations of how to get Aiki back into your Aikido is this weekend in Brisbane. Come join in and smile too !! We are having our first Great Ocean Aikido seminar for 2015 at Brisbane Aikido Republic. We are holding a combined mini-seminar and grading on the April the 25th. This will include instruction from Jim Nichols Sensei and Andrew Sunter Sensei followed by a 2nd Kyu grading for Meaghan and a Shodan grading for Susan.